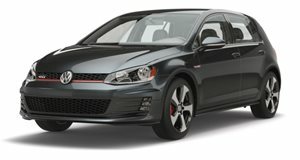 The GTI has been a benchmark for over 40 years, see why. The game-changing Volkswagen GTI was the first hot hatch, well, the first to make it's mark on the world in 1977. This revolutionary car made 110 horsepower and was able to hit 60 mph in nine seconds, a good time even by today's standards, but of course back then creature comforts and safety systems were non-existent making for a nice and lightweight car. It was the start of a forty-year run spanning seven generations and in the following video, ex-Stig Ben Collins takes a closer look. Seems Ben is just as good at presenting as he is at driving, which is probably why Goodwood Road & Racing let him drive minus a white race suit and helmet. 1984 introduced the Mk2 GTI, a bigger, faster replacement and still a favourite that could hit 60 mph in 8 seconds. In 1991 the Mk3 GTI appeared, fat and heavy and slow, the worst of the lot if you ask enthusiasts, but 1998's turbocharged Mk4 GTI saved some grace and featured comfort too. The Mk5 GTI was again a great performer, more focus, better looks and a 150 mph top speed making it a firm aftermarket and enthusiast favorite. In 2009 it was the turn of the Mk6 GTI, but Ben skipped it for no known reason. The latest is the Mk7 GTI, the closest relation to that first Mk1 GTI with a similar power-to-weight ratio, but of course full of safety and tech. Which is your favorite?